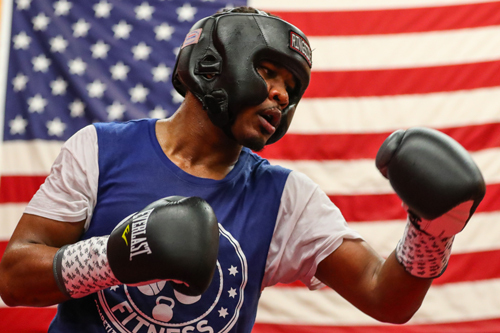 Daniel "Miracle Man" Jacobs (35-2, 29 KOs), IBF Middleweight World Champion, talked about his mental preparation ahead of his unification fight against WBC, WBA, Lineal and Ring Magazine Middleweight World Champion. Canelo Alvarez (50-1-2, 34 KOs). 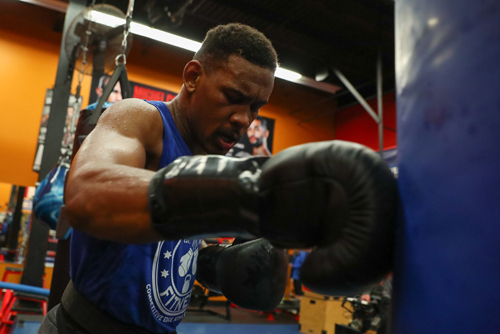 The 12-round fight will take place at T-Mobile Arena in Las Vegas Saturday, May 4 and will be streamed live exclusively on DAZN. Jacobs, 32, feels he has the mental advantage after having overcome a tough battle with cancer. The native of Brooklyn, New York also noted that he has a strategic advantage over Canelo because he has studied him for his entire career and because of his unique blend of abilities. 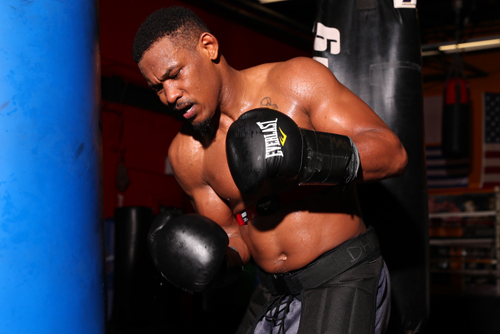 "This is my opportunity to prove what I have been saying, that I am the best middleweight in the world. Doing the impossible is not new to me. Ten years ago, I was in a wheelchair in the hospital. Fast forward to now and I'm fighting for middleweight supremacy. You can't make this story up, and I feel like this is my destiny." "I've looked death in the eyes. It happened when I was in the hospital bed with my back to the wall after doctors told me that I had cancer and would never box again. I've been through the toughest of all mental battles. I see it and feel it. Canelo hasn't faced and beaten an opponent like cancer, but I have, so to me I am already a victor." "Canelo is a true champion with superstar status who has fought so many great fighters, so to step in the ring with him is an honor for me. But aside from that, my legacy is on the line here. I have so much to gain from this fight, and I look forward to doing that and giving the fans a great show. I want to be a Hall of Famer one day, and you only achieve that by fighting the best like Canelo." "I was surprised in a way when the fight was getting close, and I was still worried until the contracts were signed. I didn't believe that I would get the fight even when we were negotiating because anything can happen in boxing. Sometimes you hear things. You hear people say that Canelo doesn't want to fight the best guys out there. But I was confident in my team getting it done, and I take my hat off to Canelo and his team for taking the fight. Now it's time to put on something great for the fans." "Canelo wanted to make history against Rocky [Fielding], and I respect that. It was an easy fight, but he'd had two hard fights with GGG before that, and they were tough and great matches. He's a champion; you know he's going to bring it and that just brings the best out of me." "To prepare for a fight, you have to study film and look at flaws and things you can exploit, but I've been studying Canelo for all of my career as I was a fan of him and still am. I know his style and I don't need to watch his fights with Golovkin and compare them to my fight with Golovkin as every fighter is different and every fight is different. For me, it's all about adjusting on the night because I can plan for the Canelo that fought GGG and he can be a completely different style on the night. GGG is not as fast as me and I'm bigger. I'm sharper." "Every fighter has a flaw or makes mistakes that you can exploit. I'm a longer fighter. I'm just as fast, I'm stronger and I have skills, too. I am not like the recent opponents that just come forward. I can go back and side-to-side and I can switch stances. I can do a bit of everything in the ring, so it's going to be a challenging fight for him and I really believe my hand will be raised that night." 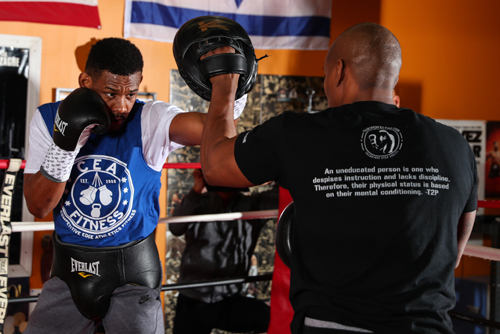 "Andre Rozier is one of the greatest trainers of our generation, and I trust him 100 percent. We're going to be in great shape and totally prepped. 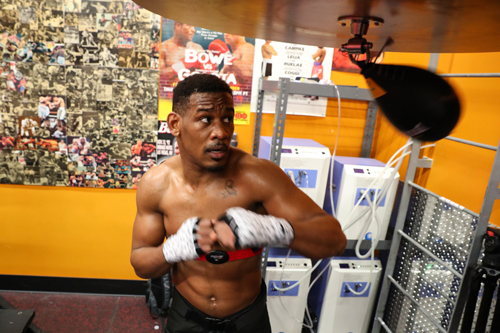 I just have to be the best me as I have all the weapons and components to beat him and prove I am the number one Middleweight out there." "My life and my story resonate with a lot of people all around the world, so I am not worried about becoming a bigger star, that's not my focus. In my opinion, I am already a great person outside the ring and I set a great example for people that follow in my footsteps, especially from my neighborhood. I'm doing my job in that aspect." "We don't need to talk trash. That's not what I am about, and I don't think he is either. I've done it before with some opposition because if it's in them and if you want to be about it, I can be about it. Trust me. But truly I am a person who likes to show respect and I want the fans to see that because as fighters, we can have negative things placed on us from the past. I want to be a stand-up guy that represents the sport because that's what we are doing; we are ambassadors for boxing and at the elite level."